Vulmon is a vulnerability search engine with vulnerability intelligence features. Vulmon conducts full text search in its database therefore you can search everything related with vulnerabilities. It includes cve id, vulnerability types, vendors, products, exploits, operating systems and anything related with vulnerabilities. 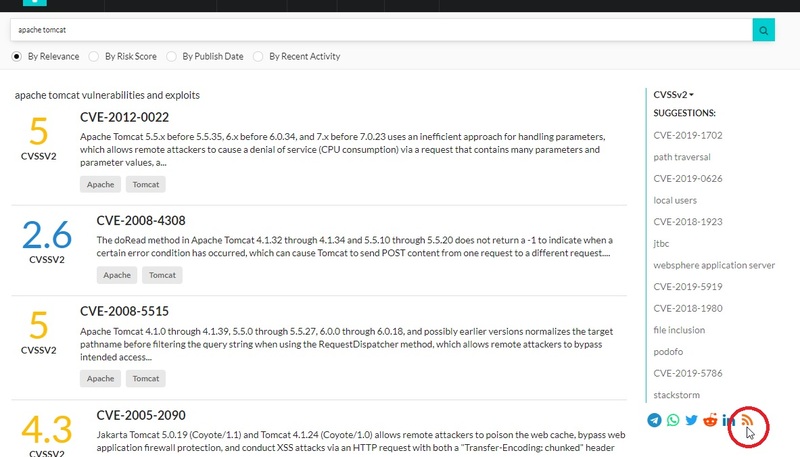 Vulmon aims to be both simple and comprehensive tool for cyber security researchers. Researchers can search everything with its simple interface and get detailed information about vulnerability and related exploits. Feel free to contact for anything. Use this link for contact information. Result pages give quick information about vulnerability, its score and related vendors and products. EDB exploits, Metasploit modules and article numbers are just below the vulnerability result cards.